Catalog Machine can quickly import or update products from your PrestaShop site. After import you can add additional custom fields and images to products for use in catalogs. 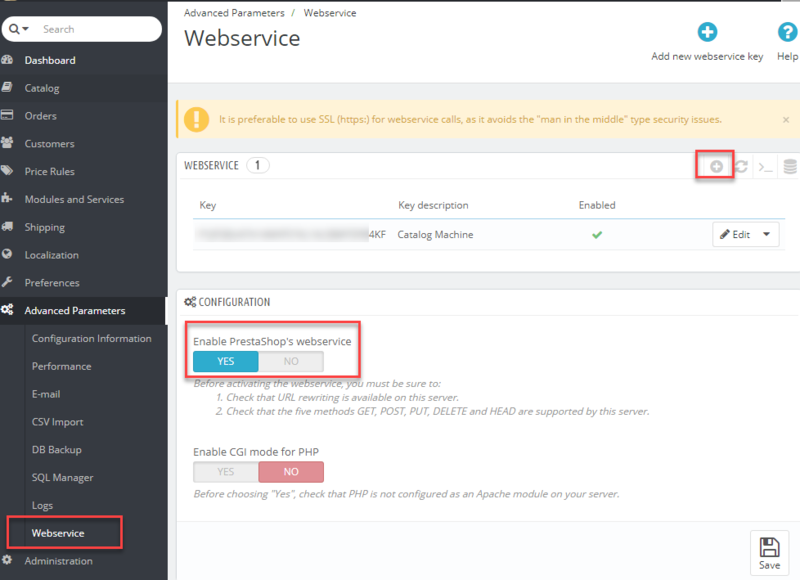 To import products from PrestaShop follow the steps below. 2. [Optional step] Add categories and fields: https://www.catalogmachine.com/app/categories. Fields matching PrestaShop product field names will be imported. 3. Navigate to PrestaShop Import page from left Import menu or simply go to https://www.catalogmachine.com/app/prestashop. 4. Select products for import or update. Choose a product category (if you selected new unimported products) and click Import. Optionally, you can import products into a collection. 5. Multi-language sites. You can select a preferred language for import product field values. 6. You products, images and combinations are imported and can be used now to create catalogs!